After attending the Quebec conference in 2013, the City of Gothenburg is convinced that the network will give us valuable support in developing a city for all ages. The political aim is to improve older people’s living conditions by strengthening self determination and equalizing differences in health. Having just joined the network, we will write an action plan together with older people and strategic stakeholders. The working approach adopted by the City of Gothenburg, with political goals and strategies, an established model for collaboration with stakeholder organisations, a systematic accessibility programme and ongoing follow-up, could serve as inspiration to other members of the network. In 2014 we won the EU Commission’s Access City Award. In 2010, the City Council adopted overall aims for Housing for the Elderly. An action plan for implementation is in place. 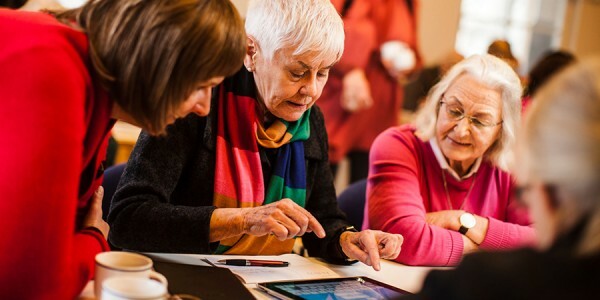 Collaboration with strategic stakeholders in the pilot scheme Gôrbra för äldre (watch the film Doing Good for Seniors), showed that investing in existing residential environments for the elderly through an enhanced sense of belonging, improved accessibility and technology is a win-win situation. In housing areas with a high proportion of elderly people, collaboration between elderly tenants, property owners, the eldercare system, other experts and research bodies has resulted in better working methods, carefully planned refurbishment of small bathrooms, improved entrances and outdoor environments, small local venues in which to meet and the development of a range of services via welfare technology – measures that can be replicated in more housing areas. Cooperation with stakeholder organisations for the elderly and individuals with disabilities is taking place systematically. The city has a Senior Citizens Committee and a Functional Impairment Issues Committee linked to the City Executive Board, the district committees and the Special Transport Committee. The city’s development centre for matters related to the elderly, Senior Göteborg, is a catalyst for encouraging the partners concerned to introduce a senior perspective in all matters and to counteract ageism. Senior Göteborg also has the task of raising strategic issues politically.